The Beautiful Puzzle Pack contains a total of four puzzle games for a nicely discounted bundled price of 1200 MSP (or $15 if you actually want to talk in real money numbers). 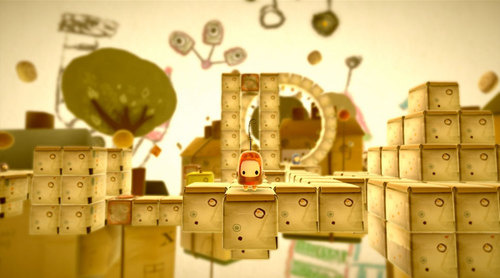 Two of the games support co-op: ilomilo (pictured above) supports 2-player local, and Insanely Twisted Shadow Planet supports 4-player local or online (but not combo). The other two puzzle games in the pack are Lazy Raiders and the Splatters. We gave ilomilo a 4 out of 5 and Insanely Twisted Shadow Planet a 3.5 out of 5 in our co-op reviews - both solid scores. Do you guys endorse this pack? Let us know below in the comments!